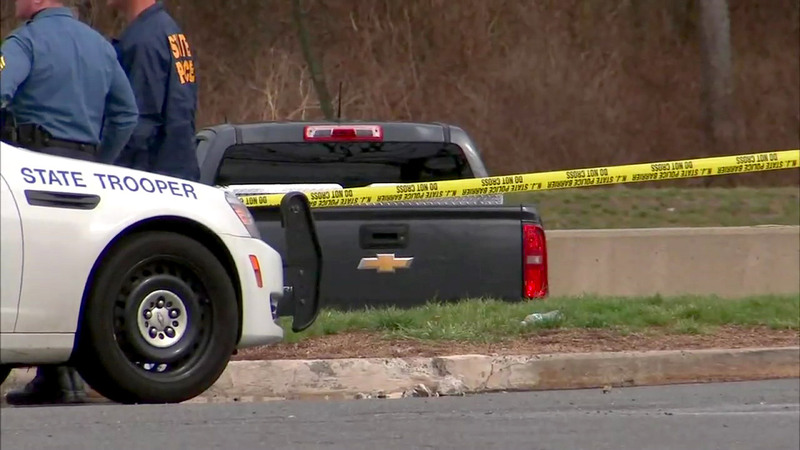 CRANBURY, New Jersey -- Authorities say a state trooper shot and killed a Delaware man who drove toward him while trying to flee from a service area on the New Jersey Turnpike. Officials say five troopers were conducting undercover narcotics operations at the Molly Pitcher Service Area on Thursday when a trooper saw 46-year-old Christopher Pizzichetta, of Lewes, apparently "shooting up" heroin. The attorney general's office says Pizzichetta attempted to flee in his pickup truck as the troopers tried to block him in, striking two of their vehicles and speeding directly toward a trooper on foot. The trooper opened fire, hitting Pizzichetta. His pickup crashed into a retaining wall and he was pronounced dead at the scene. Officials found a syringe and glassine packets suspected of containing heroin in the pickup.